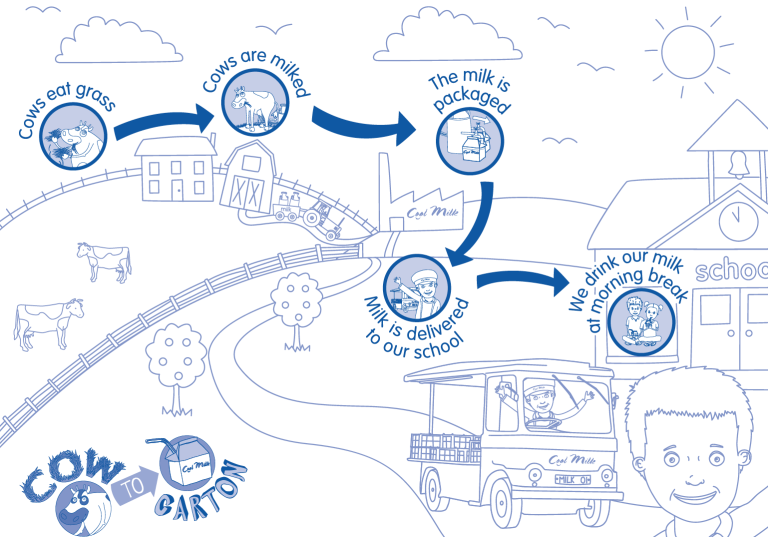 WE ARE PLEASED to be able to offer the Cool Milk Scheme to all our pupils. By registering your child for the Cool Milk scheme they can receive 189ml (a third of a pint) carton of semi-skimmed milk every day. This is delivered fresh and chilled to their classroom every day. Thanks to government subsidies, school milk is free for under-fives and for pupils eligible for Free School Meals and is subsidised for all other pupils at around £15 a term. School milk provides your child with essential nutrients. It is also re-hydrating and energy boosting, helping to bridge the long gap between breakfast and lunch so children stay focused. Find out the top ten reasons to drink school milk! Pay Cool Milk online, over the phone, at a local PayPoint, or by cheque in installments to suit you. If registering online you can pay straight away, if using a registration form you will need to wait to receive a payment request.